Pet Alternative Wellness Solutions (P.A.W.S.) is a veterinary rehabilitation clinic in Virginia Beach serving the greater Hampton Roads area. 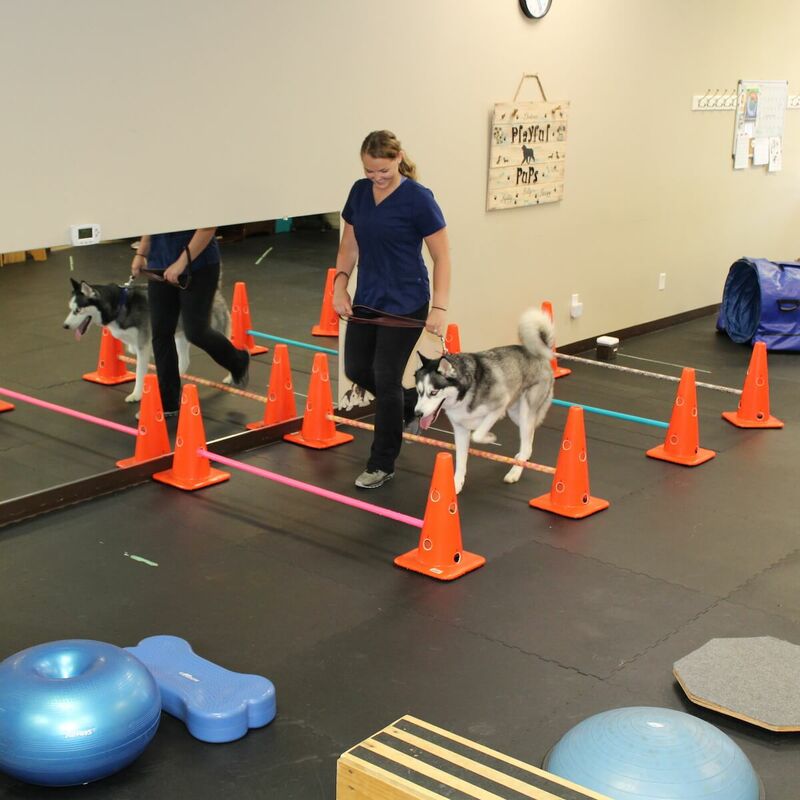 When you come to P.A.W.S., your dog will be evaluated by licensed veterinarians, certified in rehabilitation medicine, veterinary acupuncture, and chiropractic. We offer a variety of treatment options that include acupuncture, underwater treadmill, massage therapy, laser therapy and therapeutic exercise. We treat a variety of conditions such as cruciate ligament rupture, lamenesses, luxating patellas, back injuries, weakness due to old age, even agility or other canine sports conditioning. If your animal companion does not move the way they used to, we can help! So thankful for all you guys have done for our Gunner. He is feeling so much better that yesterday he ran after a deer, and gave his mom a heart attack!!! Everyone that sees him says he's a new dog!!! Winger is finally learning to relax and enjoy his massages. He sleeps like a bear after and is walking so much better! Dr. Patterson is awesome! Anyone with an animal needing rehabilitation should visit her at P.A.W.S!